The 2019 Open Enrollment Period runs from Thursday, November 1, 2018, to Saturday, December 15, 2018. If you don’t act by December 15, you can’t get 2019 coverage unless you qualify for a Special Enrollment Period. 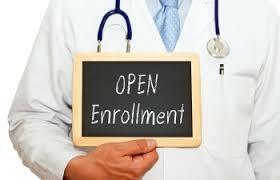 If you are looking for individual health coverage or have questions, let our benefits team help you! Contact us at 800-637-4676 or info@profinsprog.com. Error: Error validating access token: Session has expired on Monday, 15-Apr-19 09:32:54 PDT. The current time is Thursday, 18-Apr-19 13:53:23 PDT.